The 2019 Las Vegas Southwestern Women’s Expo will attract thousands of women who want the latest products and services in the areas of beauty, careers, education, fashion, financial planning, fitness, home, nutrition, health & wellness and more! • Women’s Networking – and Much More! 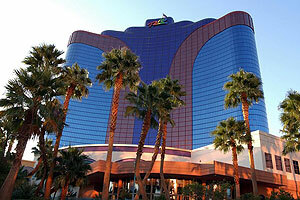 • Show Management DOES supply one table and two chairs per booth and the Exhibit Hall is carpeted. ( furniture, electrical, etc. are not provided). They can be rented directly through our official show decorator or self-supplied. 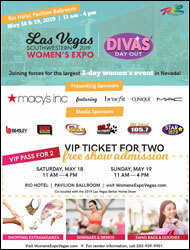 • The 2019 Las Vegas Southwestern Women’s Expo provides an excellent marketing opportunity for companies that do business not only in Las Vegas, but in the surrounding areas as well. Sponsorships are a great way to increase your company’s visibility before, during, and after the expo. These sponsorships opportunities draw larger crowds toward your booth location and enhance the awareness of your products and services through multiple marketing techniques. • We offer a wide variety of sponsorship packages to choose from. Each one is uniquely designed so you can select which one is right for you! For more information about sponsorship packages, please call 203-939-9901. We expect to sell this event to capacity. If you are interested in premium space or becoming a sponsor, it’s important that you register as soon as possible.